A power transfer switch (TS) in general is a device designed to power a load from multiple voltage sources. In home generator applications it is used to connect building's electrical wiring either to a standby generator or to utility lines. When AC line voltage is normal, a TS allows powering the load from the grid. When AC fails TS connects the load to the generator while isolating it from mains. Connecting a generator directly into any point of electrical wiring without a transfer switch is illegal and dangerous because of so called backfeeding. Backfeeding (or interconnection) is supplying electricity from your wiring system back into power grid. It energizes the line transformer serving your house and poses an electrocution hazard for utility workers and for your neighbors who may not know the voltage is present in the line. In addition, your home generator may be overloaded by your neighbors' loads or damaged if power is restored while it is backfeeding. 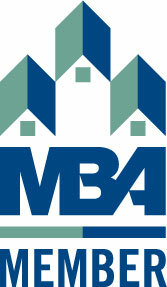 The standard U.S. household electrical service is 120/240 volt single phase. It normally has two black "hot" wires and white grounded neutral. The nominal voltage between each line and neutral is 120 VAC and between two lines is 240 VAC. Note that both lines still belong to a single phase- they are obtained by grounding the centertap of the utility transformer. For such system the generator transfer switch should be double pole double throw (DPDT) "break before make". Double throw means you can place or throw it into two positions (off position is not counted). Double pole means it transfers both line wires (poles). The neutral is normally continuous and does not have to be switched. "Break before make" means it disconnects load from one source before connecting it to another one. 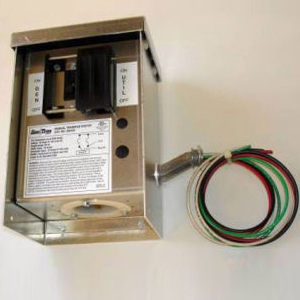 Older 2-wire 120 volt residential systems require a single-pole double throw switch. Likewise, a three-phase generator would need a three-pole switch. The TS generally should be installed within 2 feet of the main distribution panel and 30 feet of your generator inlet box. Normally an electrical transfer switch for home generator has three positions: LINE, OFF and GEN. When switching between LINE and GEN, it always passes through the OFF position. Such break prevents arcing or short circuits during the transition. The diagram below shows an example of connecting a portable generator to the house wiring via a DPDT switch for a 3-wire service with grounded neutral. The dotted lines symbolically show the metal cases. If power rating of your genset is not sufficient to power the entire house, you may install an additional distribution panel (a subpanel) and hook up the essential lines your want to backup to this panel. This sub-panel will then be wired to the transfer switch. Many commercially available TS come already with a pre-wired panel. Generator transfer switches can be manual, automatic, or a combination of manual and automatic. An automatic transfer switch includes a control circuit that senses mains voltage. When utility power is interrupted, it starts up the genset, disconnects the load from the utility and connects it to the genset. It then continues to monitor mains voltage, and when it is restored, switches your household wiring from the generator back to the utility. When the generator is disconnected it normally goes into a cool-down process and then automatically shuts down. Generac and other standby systems usually come with a 100A or 200A auto TS, or have it as an option. An auto transfer switch for residential applications may cost $600 and up. A manual transfer switch is usually used with portable gensets. For requirements of up to 30A it can cost under $350. Note that an auto TS can also be set to the manual mode if desired.